So, you’ve made the leap and purchased a new mattress. Like most things you care about, you’re going to want to do everything you can to protect it. But how? The use of a high-quality waterproof mattress protector is going to guarantee that simple accidents don’t become mattress ruining regrets. This review is going to look at the Bear Mattress Protector to see how it holds up. Think it can pass the test? Read more below to find out the results! While this doesn’t exactly explain a whole lot, I can say that it feels very similar to neoprene (the stuff wet suits are made of). That is, it feels thicker than a traditional polyurethane backing and more absorptive than moisture-wicking. There is a soft, supple texture to this top, which helps keeps spills in their place. 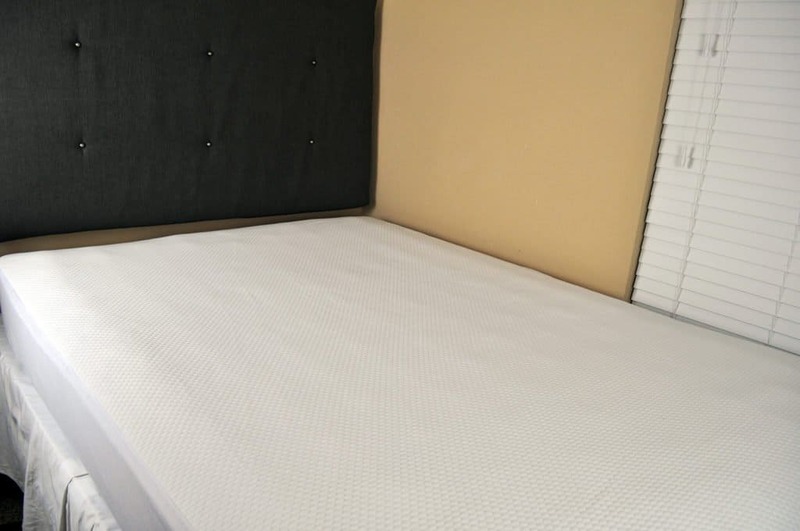 This protector is machine washable and can stretch to fit mattresses up to 20” thick, making it one of the thickest mattress protectors I’ve reviewed to date. The breathable, waterproof barrier also protects your mattress against dust mites and allergens. It is available in Twin, Twin XL, Full, Queen, King, and California King sizes. Protect the mattress – Includes protection from dirt, dust mites, allergens, liquids, or any other “accident” that might occur on the mattress. The first test we put the Bear Mattress Protector through was the liquid protection test. Liquid spills are by far the most common and most costly way to damage your mattress. In many cases, without protection, a liquid spill can even void your warranty. There are two types of tests we performed here. 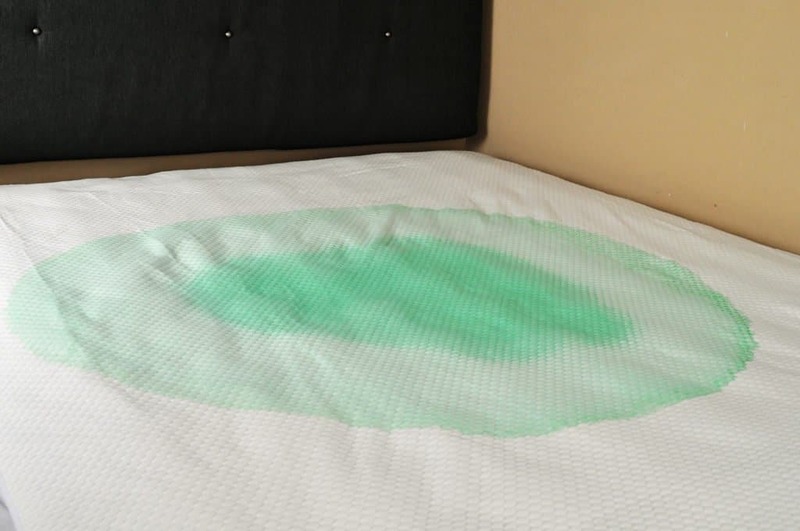 Each test exhibits a different scenario in which a spill happens on the mattress and you react. How do you think the Bear Protector held up? This first spill test is the obvious spill. In this scenario, a spill occurred and you saw it happen (you may have even done it yourself). You run to the kitchen to grab paper towels and attempt to clean it up before it has time to penetrate the mattress below — but can you make it in time? Spill test – For this test, I dyed 16 ounces of water and poured it onto the protector, letting it sit for a total of 2 minutes. The water was dyed to show the path of travel and level of absorption. After wash cycle – After the 2 minutes was up, I washed this protector with the liquid it had soaked up on a normal wash/dry cycle and looked for any staining or liquid penetration. There was zero sign of permanent color retention or staining on the protector or mattress cover. This second spill test is a little more inconspicuous; it may have occurred thanks to a pet or a child (or an irresponsible adult!). Regardless, you don’t notice it until hours later when the spill has had plenty of time to soak in. You can treat the stain now, but will the waterproof claims hold true and protect the mattress? Spill test – For this test, I dyed 16 ounces of water and poured it onto the protector, letting it sit for a total of 2 hours. The water was dyed to show the path of travel and level of absorption. After wash cycle – After the 2 hours was up, I washed this protector with the liquid it had soaked up on a normal wash/dry cycle and looked for any staining or liquid penetration. Despite the additional time in this test, there was still zero sign of permanent color retention or staining on the protector or mattress cover. For this category, it’s a little tricky to do any specific types of test, but here’s what I can say. 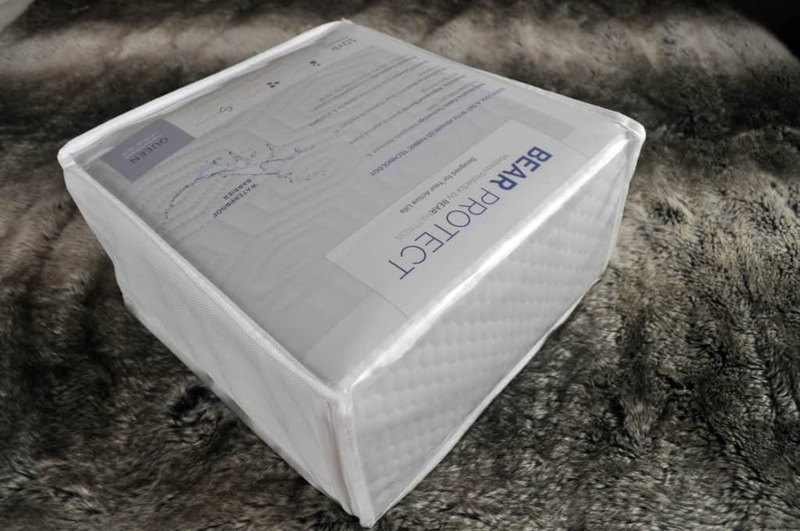 The Bear Mattress Protector fits snug on the mattress and, thanks to the ultra-deep sides (it stretches up to 20” thick), there was plenty of side coverage as it tucked securely under the bottom of my mattress. The thicker top is also very resistant to any allergens, dust mites, or dirt penetrating through. Like I mentioned before, the main jobs of any mattress protector are to protect and do so while remaining undetected by the sleeper. As the tests above have shown, the Bear Mattress Protector does an excellent job of protecting. The top is extremely soft and, due to the lack of the traditional polyurethane backing, it is virtually silent. As for cooling, I found this protector to be very breathable. Bear advertises that it also does not block any airflow in mattresses that contain Celliant (ex. Bear and Amerisleep). I’m not sure what to make of that claim, as it would seem any breathable mattress protector would work fine with any mattress that contains Celliant. If you’re looking for a thin protector, this one probably is not for you. The thicker neoprene-feeling back to this protector naturally gives it a heavier weight and thicker feel. 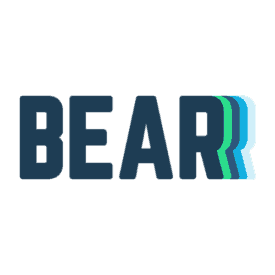 Should you buy the Bear Mattress Protector? 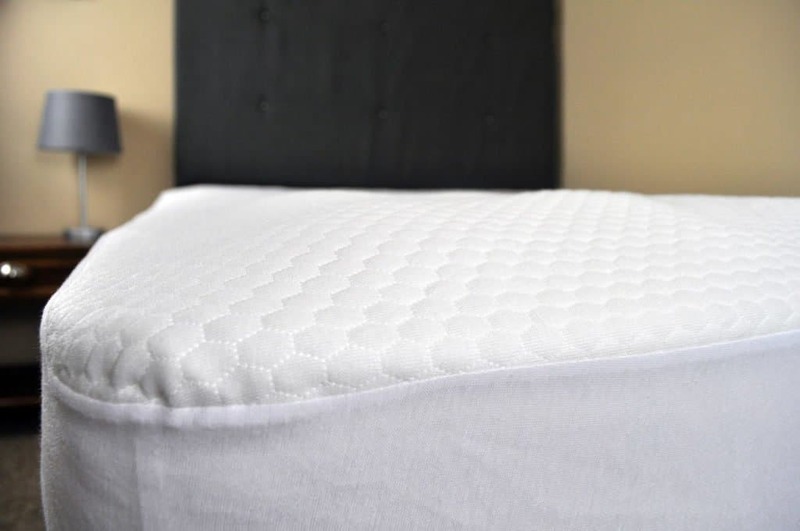 Want a quality mattress protector – No matter the spill, I am confident that this protector would prevent any “accidents” from ever reaching the surface of your mattress. Want an attractive protector – Sure, you’re going to cover it with a sheet anyway, but who says a mattress protector can’t look good? The soft top of this protector feels more like a fitted sheet and the quilted texture makes it look very modern and sleek. For more information on the Bear Mattress protector visit BearMattress.com. Overall, the Bear Mattress Protector had two jobs: to protect and to be invisible. In regards to protection, it was excellent. I can’t imagine any type of spill being able to penetrate through this material, no matter the amount of time it was on the mattress. 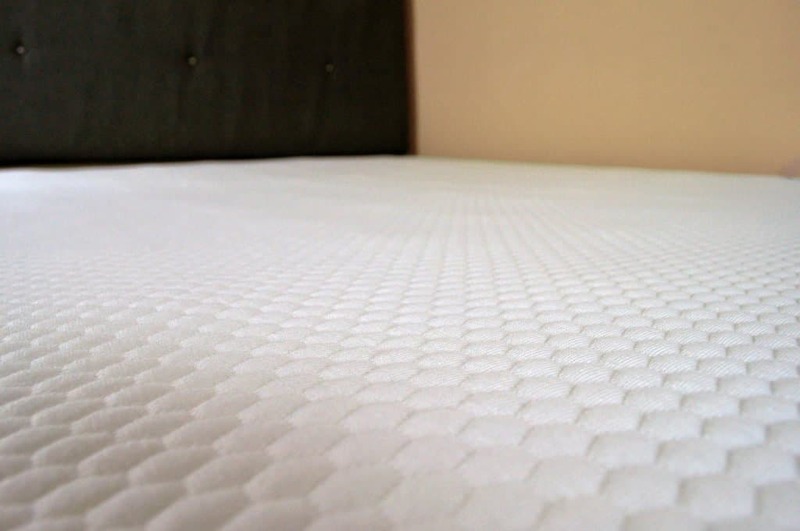 As far as being invisible, this mattress protector is one of the thicker ones I’ve reviewed so I would not say that it’s invisible. 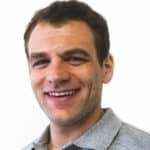 It is breathable and waterproof, and also allows for optimal cooling (and doesn’t prohibit Celliant), but if you are sensitive to subtle changes, it may slightly alter the feel of your mattress.